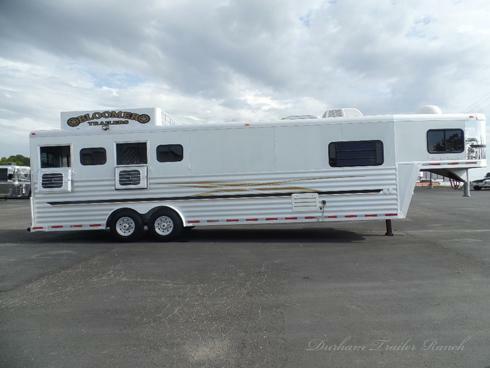 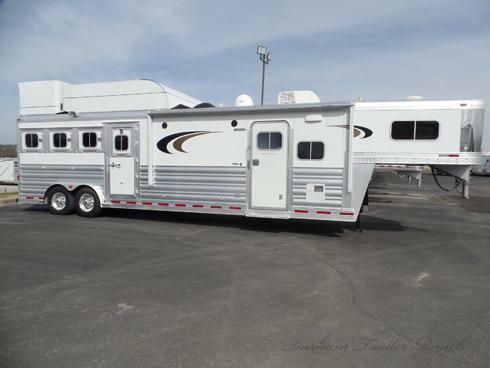 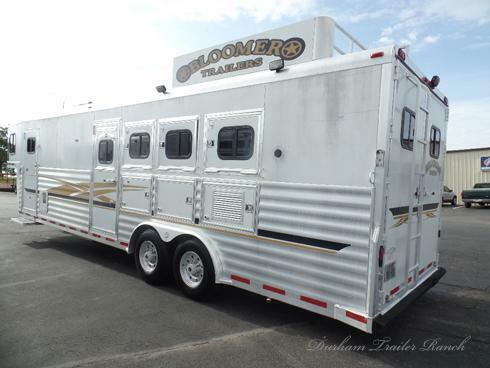 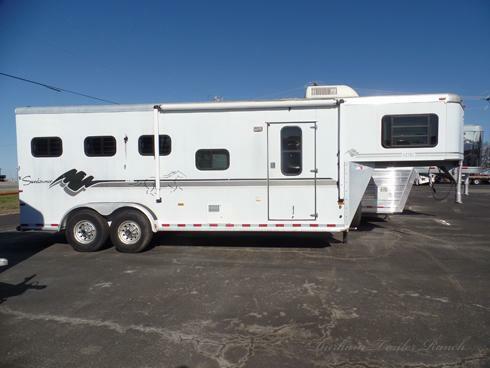 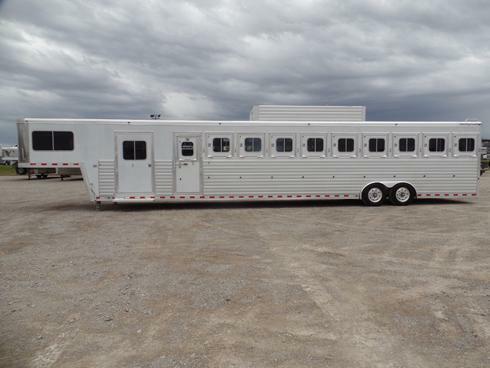 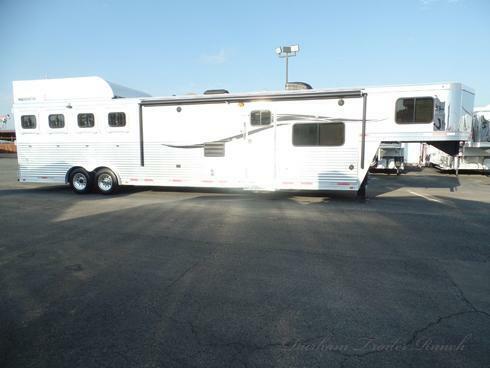 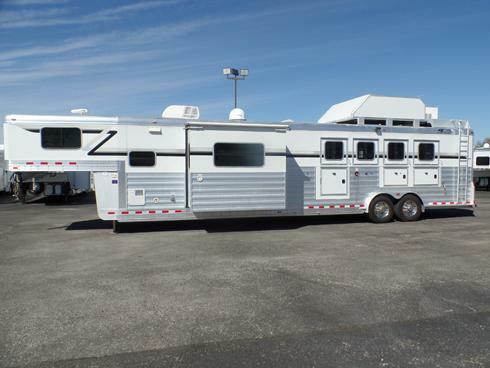 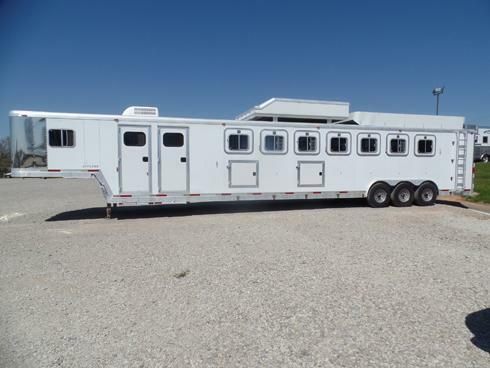 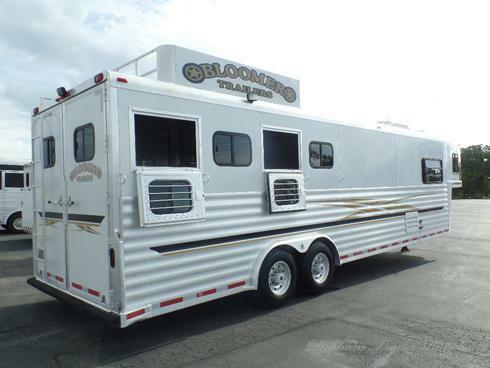 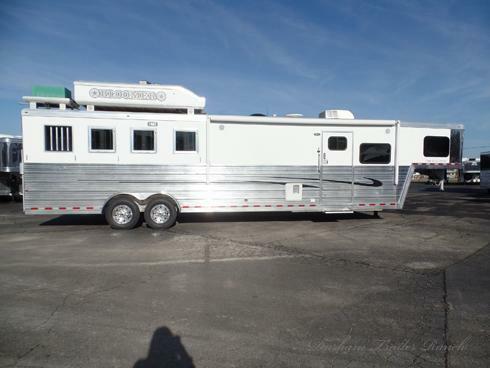 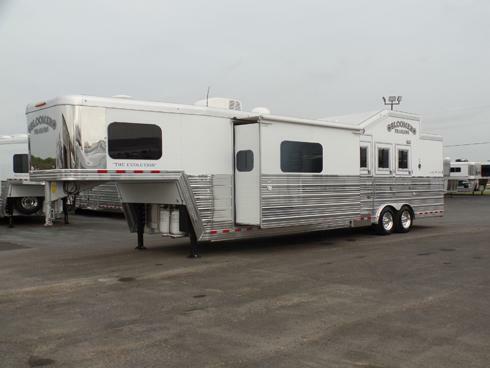 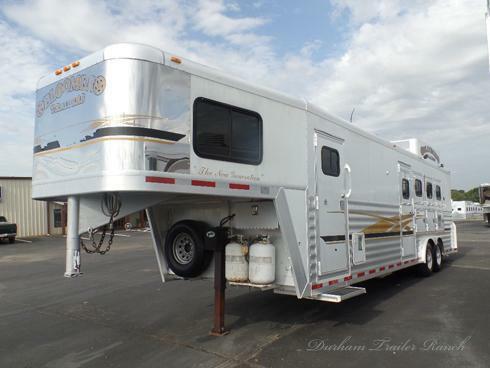 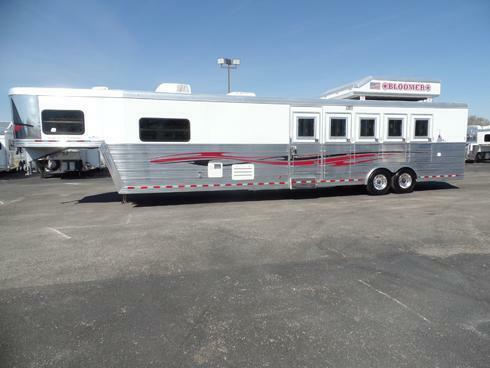 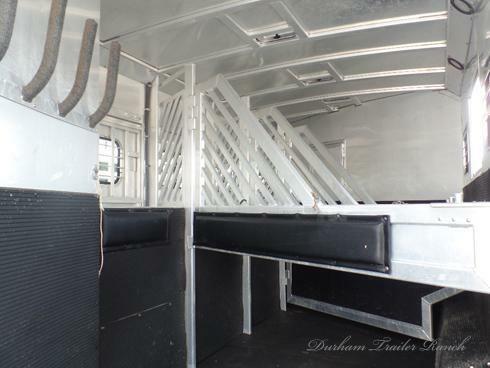 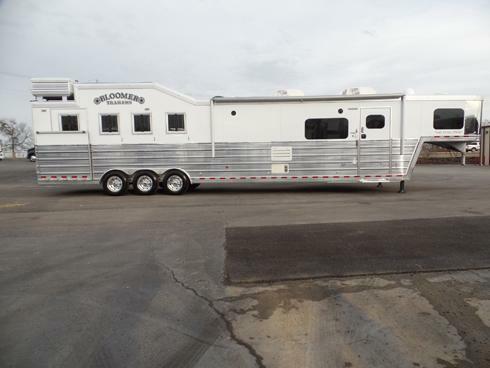 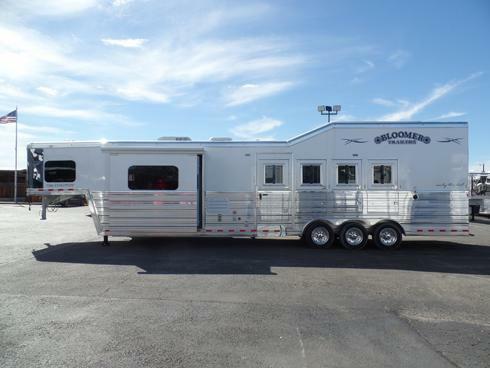 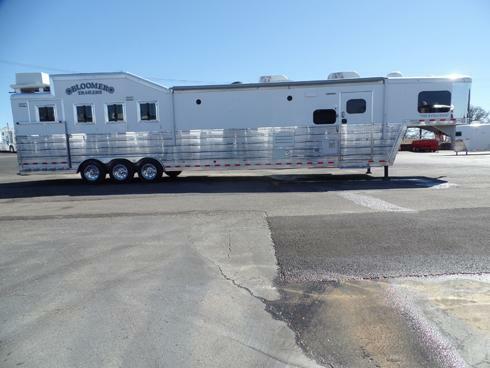 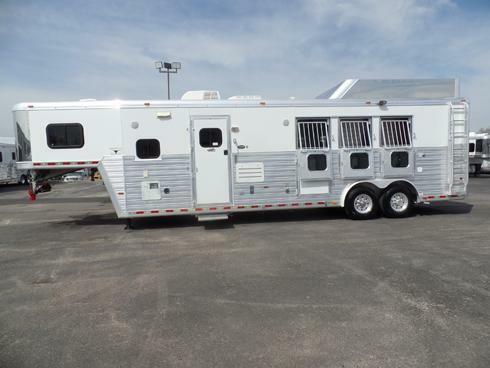 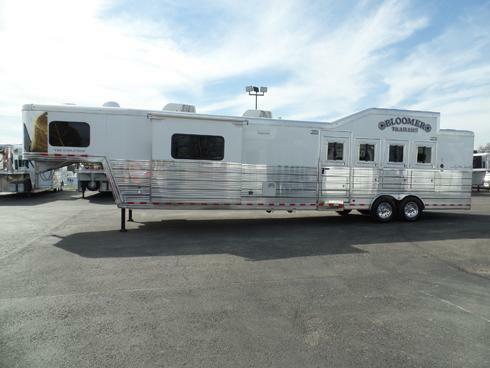 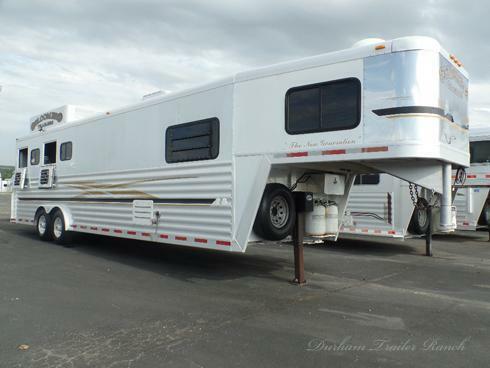 2003 Bloomer 4 Horse with a 12' Short Wall. 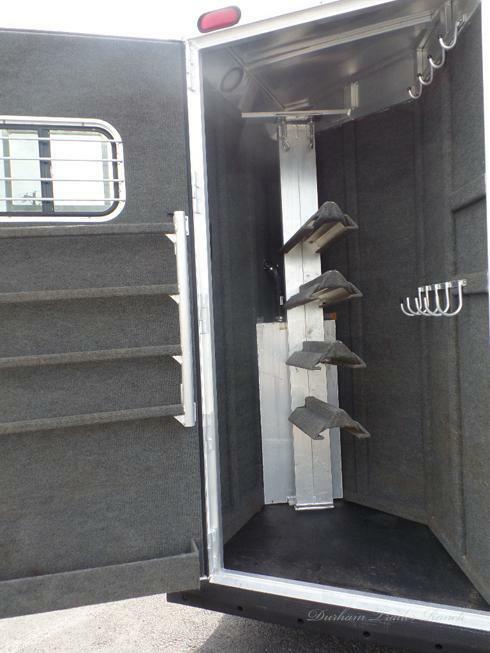 50/50 Rear Tack with a 4 Tier Saddle Rack, 4 Blanket Bars, 9 Bridle Hooks, and a Brush Tray. 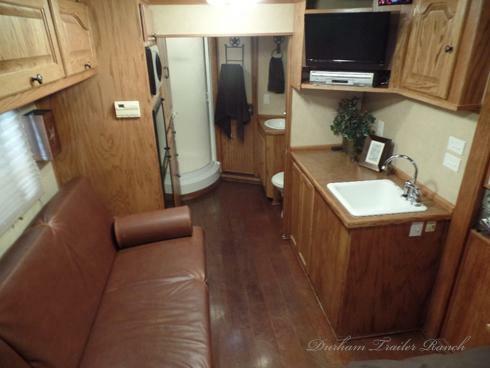 Onan 4K Generator with 121 Hours and 23 Gallon Fuel Tank. 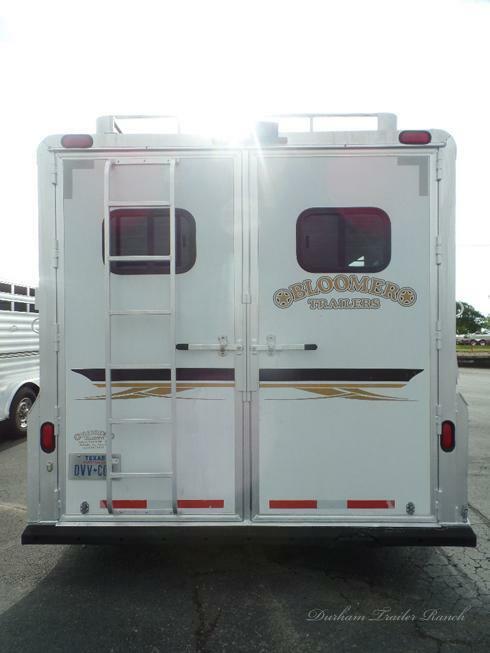 Drop Windows on Head with 2 on Hip, Mangers, Stud Divider, Flow Through Face and Wither Shields, Bulk Head Door, and Bell Boot Rack. 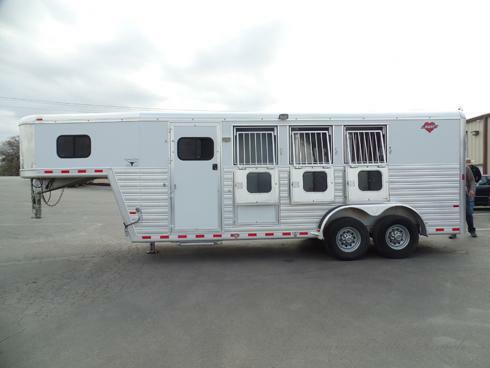 8' Hay Rack, 16" Alcoa Aluminum Wheels, Exterior Water Faucet, Hydraulic Jack, Dual Propane, Dual Batteries. 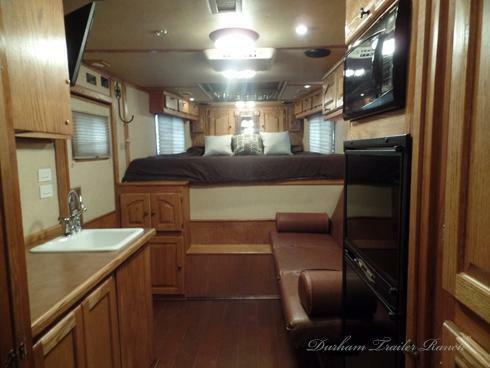 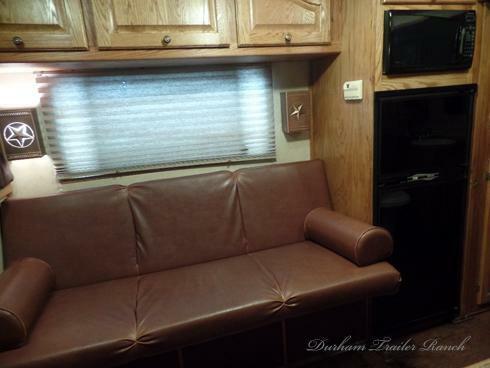 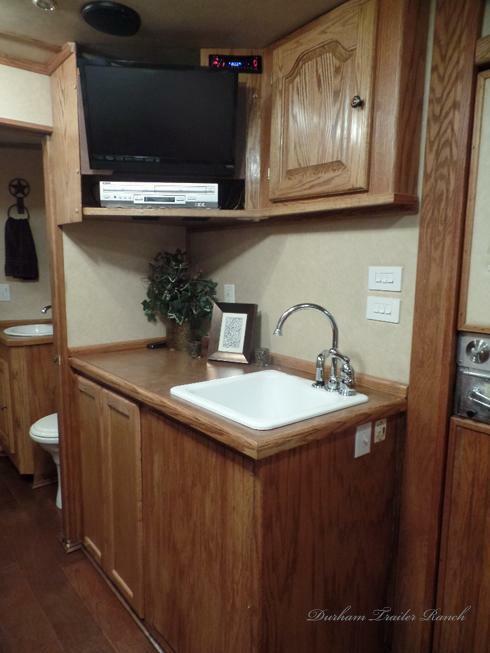 12' Short Wall, 72" Sofa Sleeper, Kitchen Sink, TV, DVD, Satellite, and Radio. 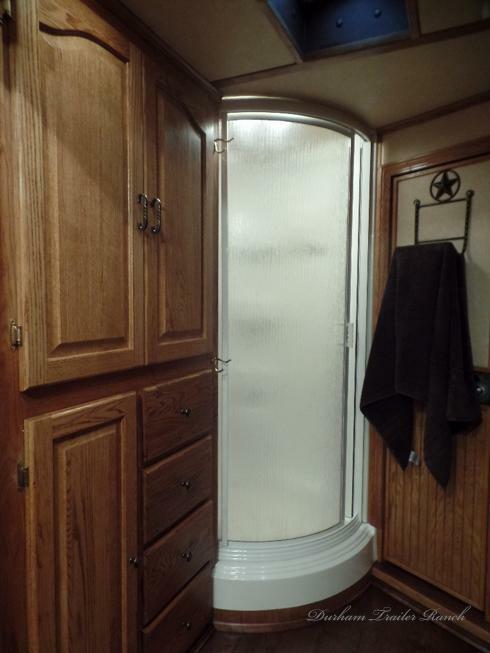 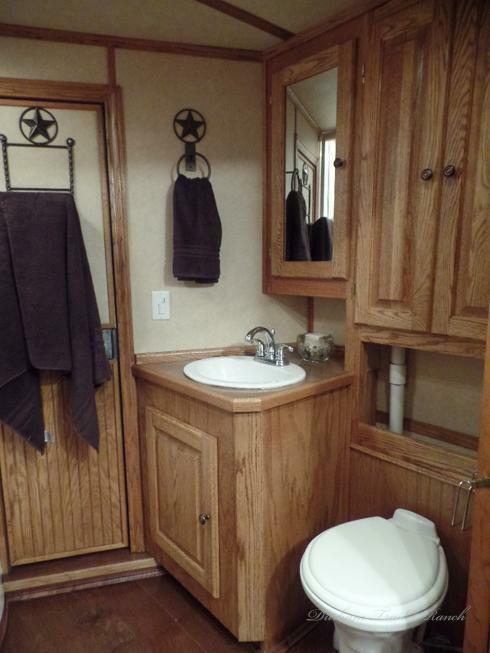 Shower, Vanity with Sink, Commode, AC, and Lots of Storage.